Above are Paper Mate Profile RT Pens shown imprinted with a logo and Paper Mate Branded Clip. Colors are below. 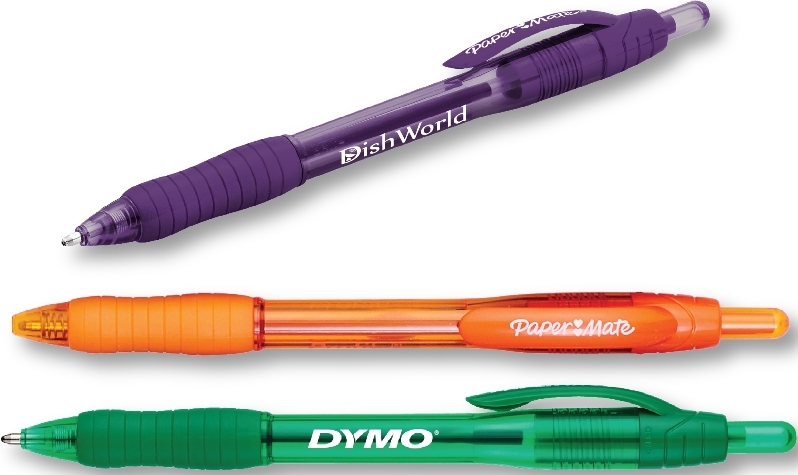 Above left to right are Translucent Black, Blue, Green, Light Blue, Pink, Purple and Red Paper Mate Profile RT Pen Colors. Translucent Black, Translucent Blue and Translucent Red Pens available with choice of Black or Blue Paper Mate Ink.